Dimensions: H19 x W11 x D9 cm approx. 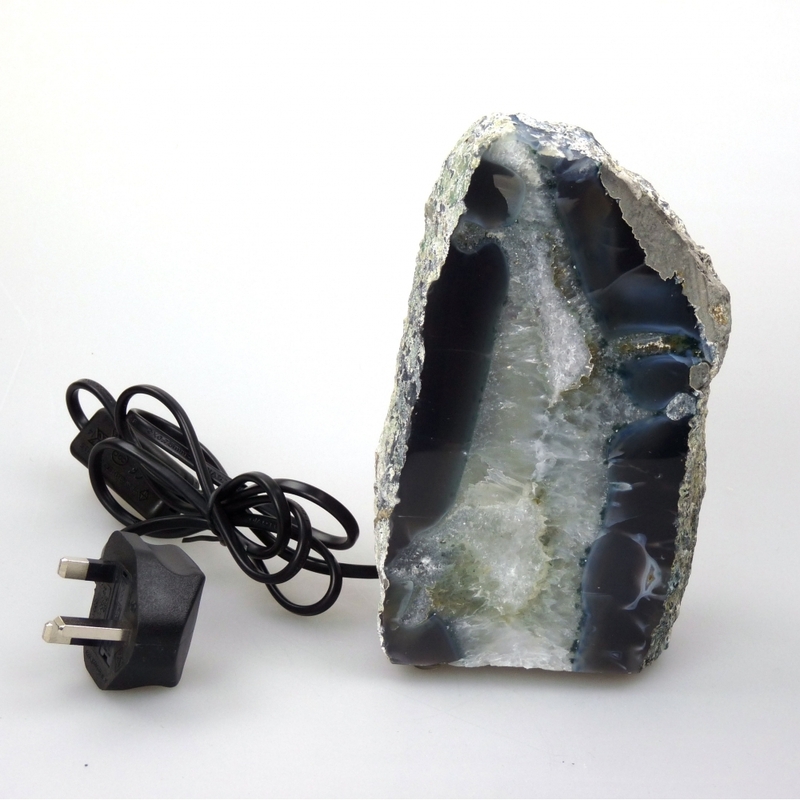 Unique and stunning, this Blue and Grey Natural Agate Stone Table Lamp features midnight blue formation with a white crystal core. Made from agate formed within volcanic lava bubbles, the lamp will add soft light and a relaxing atmosphere to any room. The striking light would be an unusual addition to many homes and interiors and is sure to be loved by both children and adults.